The state of Colorado is set to pass a new bill known as HB16-1391 that will prosecute non-attorneys posing as licensed immigration attorneys or legal representatives in matters relating to immigration. Colorado Senator Dan Pabon, first introduced the bipartisan bill, HB 16-1391 the Immigration Consultants Deceptive Trade Practice, before the Colorado Senate earlier this year. The focus of HB16-1391 is to crackdown on “notarios” targeting the Hispanic community, who are not licensed to practice law in the United States. The word “notario” in some Latin American countries refers to a person that is either highly trained to conduct legal matters or is an attorney. The word notary in the United States takes on a different meaning. A notary public in the United States is not an attorney and cannot conduct legal matters. They cannot provide legal advice nor represent individuals before court. Instead, a notary public can attest or certify writings to make them authentic. Notary publics are typically involved in the certification of affidavits, depositions, and other negotiable documents. In the United States they witness the making of documents and sign in order to attest that documents are authentic. The Hispanic community is often misled by these “notarios” who advertise themselves as authorized legal representatives and/or attorneys for compensation. 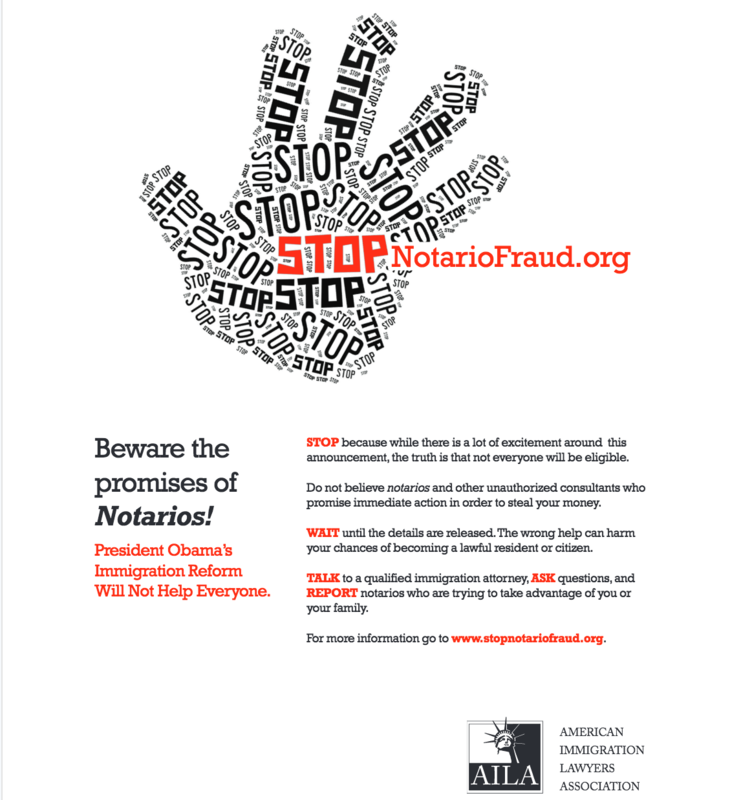 Despite the fact that these “notarios” are not authorized to offer legal consultations, they often do causing irreparable damage to the people they serve. They often give false hope to people in the United States unlawfully and mislead them into applying for an immigration benefit they are not eligible to receive, prompting their removal from the United States. The bill, Immigration Consultants Deceptive Trade Practice, will prohibit non-attorneys from conducting consultations, receiving compensation, and providing legal services to individuals related to immigration.